At Temple Beth Sholom, education does not end with religious school. Our congregation offers lifelong learning with a variety of formal and informal opportunities for adults. Through traditional scheduled classes, Shabbat dialogues, educational trips, films and lecture series, congregants can explore many aspects of Jewish learning from Bible, textual study and history to film criticism and Israel. Weekday classes with the rabbi provide an opportunity to engage in intellectual inquiry and expression. 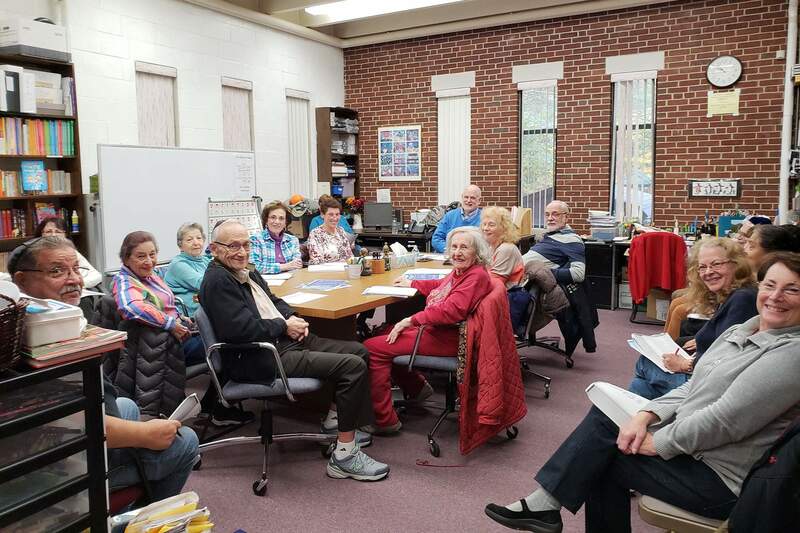 Temple Beth Sholom is a Hebrew College Meah site for the community with over twenty of our own congregants participating in this intensive program of one-hundred hours of Jewish learning. In cooperation with Northeastern University’s Judaic Studies Department, we have a year long program bringing NEU scholars to select Friday evening services. In the Spring, we host a Weekend of Learning featuring a noted scholar in residence. We welcome you to contact us for further information. News about all our events are available in our monthly newsletter, Ruchenu, our weekly Tidbits emails and on our website. Come join us. What do these biblical books have to say about the meaning of life, love and desire, welcoming the stranger, responding to catastrophe and how to live as a minority community in the diaspora. Critial questions — classic answers. Register by contacting the Temple Office by email or at 508-877-2540 x405.